First, on behalf of the more than 6,000 members of OSMTH worldwide, please accept my deepest sympathy and sincere condolences for the tragic deaths of the innocent victims of the horrific massacre that occurred in Norway on July 24, 2011. Our thoughts and prayers are with the families of the lost souls and the people of the Kingdom of Norway. I will now attempt to provide you answers to the questions that you posed in your email. Clearly, as an ecumenical Christian Order of Chivalry dedicated to humanitarian and charitable good works, we are appalled at this senseless act of terrorism. We are deeply distressed and saddened that Mr. Brievik saw fit to use the words "Knights Templar International" in his Manifesto. Unfortunately, the use of the name "Knights Templar" is not exclusively ours. The words "Knights Templar" are not copyrighted or patented - they have been in the public domain for almost a thousand years. There are several organizations throughout the world that use the words "Knights Templar" as their organizational name. Mr. Brievik would not need our consent to use the words "Knights Templar" in the title of his organization. The fact the he used the words "Knights Templar International" as the name of his organization does not mean he or his organization is in any way connected philosophically or affiliated with OSMTH-Knights Templar International, the Order to which I belong and am privileged to be its Grand Commander! I can categorically state that Mr. Brievik is NOT NOW nor has he EVER BEEN a member of OSMTH. Had he known what OSMTH stands for - our humanitarian mission and our "bridge-building" role among people of peace throughout the world regardless of their race, color, creed or political persuasion - Mr. Brievik COULD not have been affiliated in any way with our Order because what we stand for would be anathema to him. There is now doubt in my mind, based on the history of our organization, that Mr. Brievik does not understand what it is to be a Knight Templar. Our concern for Christians at Risk dates back to the origins of the original Order of Knights Templar in 1118 AD, when 9 French Knights went to the Holy Land to protect Christian Pilgrims on the roads leading to Jerusalem. 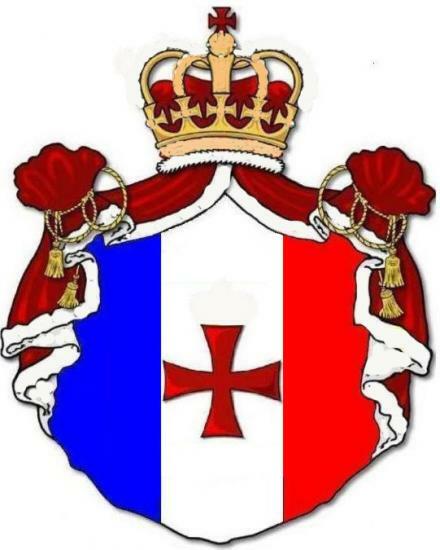 The modern Knights Templar International was reorganized in France in 1804, under the sponsorship of Emperor Napoleon Bonaparte. Since that time the Order has been a Christian Order of Chivalry. Today, OSMTH (Swiss Registry, CH-660.1972999-4) is an ecumenical Christian Confraternal Order dedicated to providing humanitarian aid to people in need around the world regardless of race, color, creed or political persuasion. We are also engaged in trying to bring about peace and understanding in the world by "bridge building." OSMTH - Knights Templar International is the only Knights Templar organization recognized by the United Nations and accredited as a non-governmental organization (NGO). The Order maintains a presence at the UN in New York, Geneva and Vienna. Our members have been engaged in providing medical and dental treatment in such places as Haiti and Belize; we have provided medical and dental supplies (or funds to purchase them) following the Tsunami in South and Southeast Asia; our membership has provided funds to help rebuild a Muslim Mosque and a Christian church in Pakistan following the mudslides in that country; our Knights and Dames have provided school supplies and a paid teacher for several schools for girls in Afghanistan; the Order has provided the funds for medical treatment for a young boy in Cameroon to have a hole in his heart surgically repaired; the Knights Templar sponsor several young people to obtain a high school education in the Holy Land; two of our Grand Priories sponsor the operation of a medical clinic in Cameroon; we have supported other NGO's in "bridge building" - the list of our humanitarian aid could continue for several more paragraphs! I have only described what our Order does in the International arena. Currently, the Order is composed of Grand Priories or National entities in 16 countries around the world. Each of these Grand Priories support NATIONAL charitable and humanitarian projects. These range from providing food and other support to homeless centers to donating Teddy Bears for sick children in hospitals to providing school supplies to needy students. Again, the list could continue! I hope that the foregoing will help you to understand what the modern Knights Templar International do in their home countries and abroad and, why it would be IMPOSSIBLE for someone like Mr. Brievik who has demonstrated his hatred, callousness and total disregard for the sanctity of human life to be a TRUE Knight Templar!